Everyone knows someone who has undergone hip or knee replacement. These surgeries are no longer exclusively performed on older persons and are now not uncommon procedures for many patients with persistent, significant hip or knee pain. Problems that lead people to be willing to undergo joint replacement surgery include ongoing intolerable pain and loss of mobility. Good outcomes are generally associated with these procedures, but it is reasonable that most of us would far prefer to prevent the progression of a degenerative joint disorder and avoid the need for surgery. Hip or knee joint replacement surgery is typically prescribed for osteoarthritis (degenerative joint disease). Osteoarthritis involves thinning of protective joint cartilage, loss of sufficient lubrication of the joint by its synovial membrane, and painful inflammation. Osteoarthritis may occur years or decades after a significant joint injury, or osteoarthritis may be a long-term result of disuse, limited use, or otherwise insufficient physical activity. As with most physical ailments, prevention is generally much more effective than is treatment. Prevention takes time, but the expenditure of time may be worth it compared to the amount of time expended later on in terms of visits to specialist physicians, laboratory tests and MRI studies, possible surgical procedures, and extensive recovery and rehabilitation. 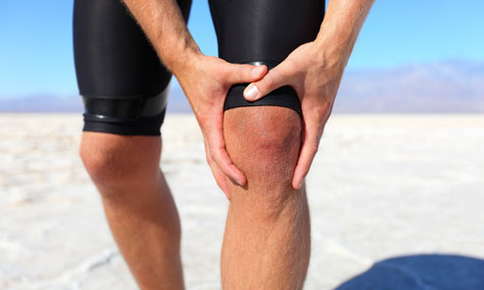 Prevention of osteoarthritis is the best policy from every point of view. Some things just happen, of course, and a minority of osteoarthritis cases will get worse regardless of the measures taken. But, overall, various forms of exercise as well as visits to the chiropractor’s office have been consistently shown to substantially benefit people with osteoarthritis of the knee or hip. Effective exercise programs include walking, running, and biking. Any or all of these are appropriate in most circumstances. Aquatic exercise, such as swimming or water aerobics, is also of great benefit in the treatment of knee or hip osteoarthritis. Additionally, core exercises are an important part of any comprehensive exercise program, especially when a primary objective is to slow or prevent osteoarthritis. Core exercises help stabilize and strengthen weight-bearing structures such as your lower back and pelvis, removing significant mechanical loads from other weight-bearing joints such as the hip and knee. Redistributing mechanical stresses away from your hips and knees through exercise and regular chiropractic care helps these joints to function more optimally and retain peak levels of performance, hopefully, far into the future. Although these preventive activities take time, the return on investment is high. The benefits extend far beyond protection of your hips and knees. Your exercise routines improve cardiovascular fitness, increase restful sleep, enhance your posture, and add an extra bounce to your step. By engaging in a consistent program of vigorous physical activity, you're helping to increase your long-term health and well-being, and by extension, that of your family as well. "Dr. Bolt helped me not only by adjusting my spine, but by educating me about holistic approach and overall health and wellness for life. I would recommend Dr. Bolt to others because he is the most unique chiropractor or even doctor of any kind that I have ever met."